Becoming a mother is supposed to be one of the happiest times in a woman’s life. Sadly, for many of us, this could not be further from the truth. Many of you believing that mothering should always be blissful, feel too ashamed to tell anyone that you are not coping with your own emotions when dealing with your babies / young children. 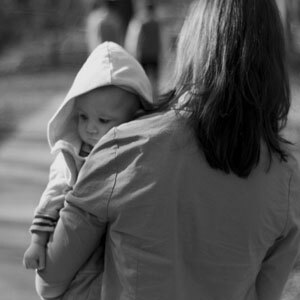 The transition to motherhood involves adapting to huge physical, emotional and social changes. Particularly with a first child, it may involve reviewing your whole identity and a need to respond to the constant demands of your baby and subsequent siblings. This experience often activates feelings about your family of origin and childhood, on top of the physical stresses of the endless routine of caring for your baby/ young children and keeping your house in order. It is fair to say you are facing possibly the most challenging stage of your life – and it is not surprising to find that a large number of mothers have difficulty adjusting to their role and can feel insecure, overwhelmed and burnt out. Therapy can help you restore your emotional balance by giving you space to unburden some pent up emotions in a non-judgemental environment. We will also review your transition to your motherhood, considering which aspects of life as a mother you find particularly difficult – and together find ways for you to start feeling better.